SUR was founded in 2006 by a core of young engineers and researchers from the aerospace industry, with the vision of developing advanced capabilities of Software Engineering, Remote Sensing and User Training for applying Earth observation satellites to the resolution of complex social and economic problems. First product development (garage development): SuriPluma, a satellite image viewer of free distribution, in English and Spanish, which had thousands of users around the world. Development of a geospatial production system of client-server type that allowed the automatic daily, weekly and monthly calculation of agronomic products derived from thousands of images obtained from NASA and NOAA. First technological innovation contract with CONAE, the Space Agency of Argentina, in which SUR was entrusted with the development of digital satellite image processing software, the first in Latin America of its kind, based on the “garage” product SuriPluma. SUR continues deepening its geospatial software engineering and image processing capabilities, incorporating web and distributed systems, following the idea of applying these technologies in various sectors such as Agro, Environment, Mining, Oil and Gas. For this, SUR designs and develops the first integral line of geospatial software in Latin America, the Suri products, including SuriWebGIS and SuriMovil, from which dozens of productive implementations are carried out in diverse sectors of Latin American countries, reaching several thousand users. SUR begins an intensive work with CONAE to develop the 2Mp Program, a comprehensive project of technological development and mass training of users in satellite technology of Earth observation, unprecedented at a global level, reaching hundreds of thousands of children of school age. SUR starts a new business unit of aerospace software engineering. The European aerospace standard ECSS is incorporated. 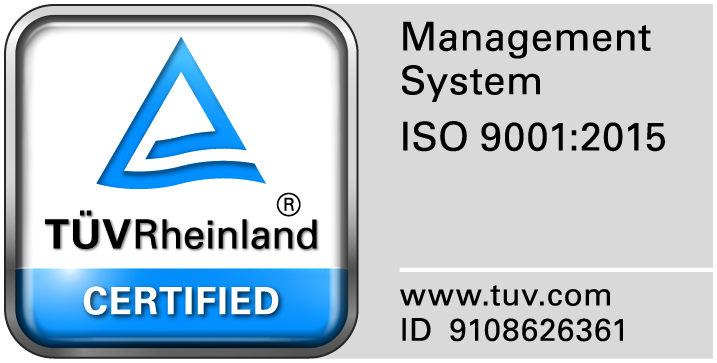 SUR certifies ISO 9001:2015 + 90003:2014 in “Software Engineering; Research, Development and Transfer of Geospatial Technologies”, and implement PMI recommendations for project and program management. SUR begins an intensive aerospace software engineering work for the SAOCOM Mission, a constellation of satellites for Earth observation with SAR (Synthetic Aperture Radar) technology in the L band. SUR develops the application segment for strategic sectors, such as Agro and Flood Emergencies, several systems of the ground segment, such as the CALVAL system of the SAR and the Catalog for Users, and provides engineering services for the flight segment, all under ECSS space standard. SUR undertakes the development of the new generation of its geospatial product line, with focus on Earth Observation applications for providing innovative solutions to diverse social and productive sectors, with cutting-edge technologies such as geospatial big data production systems, value-added analytics with drones and EO satellites (including NewSpace), computer vision and machine learning, and SAR image processing. Argentinian SAOCOM satellite is launched from California, integrating software of SpaceSUR developed on more than 150.000 hours of aerospace software engineering and EO science under ECSS standard. SpaceSUR launches its new product Geo.platform, developed to drive positive business and social impact by the application of Earth observation and geospatial technologies for the digital transformation of diverse industries and government. SpaceSUR is awarded important international contracts and starts business operations in Europe.